Earlier in Blog Post: Know your protocol I wrote about how IBM MQ V8 FixPack 2 had deprecated all the SSL 3.0 CipherSpecs and turned them off by default. Now in FixPack 3 a further set of CipherSpecs have been deprecated so that, by default, attempts to use them will result in a error. The additional CipherSpecs deprecated in FixPack 3 are those which use no encryption; the RC algorithms (RC2 and RC4); and single DES. UPDATE: Now with APAR IV90867, which is targeted for IBM MQ V8 FixPack 6, a further set of CipherSpecs have been deprecated. The additional CipherSpecs deprecated in FixPack 6 are those which use the Triple DES algorithm. UPDATE: Now with V9.1, a further two CipherSpecs have been deprecated. The additional CipherSpecs deprecated in V9.1 are those which use the TLS 1.0 protocol. Whatever version of MQ you are currently using, you should consider this as a strong hint to look at your use of any of these CipherSpecs and change to a stronger one where possible. CipherSpecs now deprecated in IBM MQ, highlighted column shows the reason for deprecation. TLS_RSA_EXPORT_WITH_RC2_40_MD5 TLS 1.0 MD5 RC2 40 ? TLS_RSA_EXPORT_WITH_RC4_40_MD5 TLS 1.0 MD5 RC4 40 ? TLS_RSA_WITH_NULL_MD5 TLS 1.0 MD5 None 0 ? TLS_RSA_WITH_NULL_SHA TLS 1.0 SHA-1 None 0 ? TLS_RSA_WITH_RC4_128_MD5 TLS 1.0 MD5 RC4 128 ? ECDHE_RSA_NULL_SHA256 TLS 1.2 SHA-1 None 0 V71. TLS_RSA_WITH_NULL_NULL TLS 1.2 None None 0 ? TLS_RSA_WITH_RC4_128_SHA256 TLS 1.2 SHA-1 RC4 128 ? As an alternate way of thinking about it, you should be choosing a CipherSpec from the 12 listed in the following table. CipherSpecs still supported in IBM MQ V8. All of these are FIPS 140-2 certified. I have requested that the table in Knowledge Center: Specifying CipherSpecs is updated to only show the supported CipherSpecs and that the details of the deprecated ones are moved out of the way to a separate page. EDIT: Knowledge Center has now been updated to only show the supported ones and there is a separate page for the list of Deprecated CipherSpecs. Be aware that if you have re-enabled SSL V3.0 CipherSpecs at IBM MQ V8 FixPack 2, and you upgrade to FixPack 3, you will have further re-enabling to do. It is not sufficient simply to re-enable the SSL V3.0 protocol as you did with FixPack 2, you also have to specify the weak CipherSpec you wish to allow use of. or setting the AMQ_SSL_V3_ENABLE=1 environment variable. or set the AMQ_SSL_WEAK_CIPHER_ENABLE=TRIPLE_DES_SHA_US environment variable. This setting can be a list of CipherSpecs, or ‘All’ to turn them all back on. AMQ9674: The channel 'QM1.TO.QM2.SSL01' specified a weak or broken CipherSpec. The channel did not start. set of cryptographic algorithms or a stronger protocol. Hopefully you won’t ever need to re-enable these old, weak CipherSpecs, but there’s always the chance that you have a channel that talks to an old version queue manager, and you’ll need one of these weaker CipherSpecs for that purpose. At least with this new re-enablement method you’ll only be allowing the one you need to be used, instead of opening them all up. 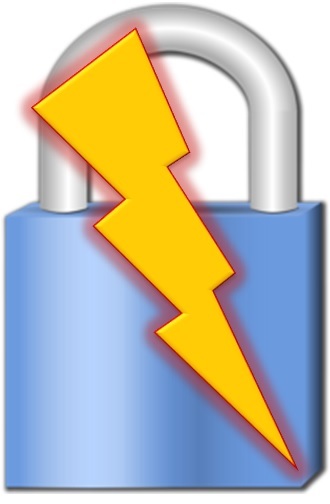 There are times when it is important to know more about your SSL/TLS secured channel than just that it is running. More recently it has become important to know not just the CipherSpec that it is using but the Protocol as well. By protocol I mean, is it using the old SSL V3.0 protocol, or have you set it up to use one of the more modern TLS 1.0 or TLS 1.2 protocols? When can this be important to know? Well, unless you’ve been sleeping in a hut in the outback recently you’ve probably been aware of the POODLE vulnerability and the push to get people off the SSL V3.0 protocol and onto something more modern. Also, in IBM MQ V8 the use of per channel certificate labels requires the use of a TLS CipherSpec (because it relies upon a feature in the TLS protocol that isn’t in the SSL protocol). If you are pre-801, then you can look up the cipherSpec your channel is using in the table in Knowledge Center, and look for the column entitled “Protocol Used”. If you have an 801 Queue Manager (see What is an 801 Queue Manager?) then when your channel is running, there is a new attribute displayed when you use the DISPLAY CHSTATUS command which will show you exactly which protocol is in use. Here are some examples. I have set up certificates and defined three channels, each with a different CipherSpec. I have deliberately chosen one from each protocol as you can see if you compare these definitions to the table above. When I run these channels on a queue manager that has V8.0.0 FixPac 2 installed (and has re-enabled the SSL V3.0 protocol – see later), then the output I can view shows me the Security Protocol being used by each channel as you can see in the example output below. This information is also available via the PCF interface, so tools like MQ Explorer and our MO71 GUI Administrator can also show you the Security Protocol Used (get MO71 V8.0.3 for this functionality). Note: At the time of the writing, the MQ Explorer does not have the Security Protocol displayable. This has been reported, and I hope to be able to bring you a screenshot of that at a future time. 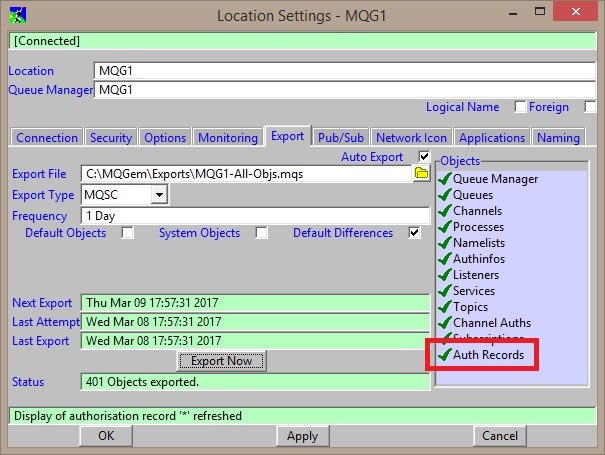 or by setting the AMQ_SSL_V3_ENABLE=1 environment variable. A recent fix released by IBM allows the TLS 1.0 protocol to be disabled in the same way as the above SSL protocol can be disabled. or by setting the AMQ_TLS_V1_DISABLE=1 environment variable. The message is very clear however, make sure that you know what protocol you are using. Regularly review your channel CipherSpecs to see whether they still meet your business needs, and STOP using SSL V3.0 CipherSpecs.